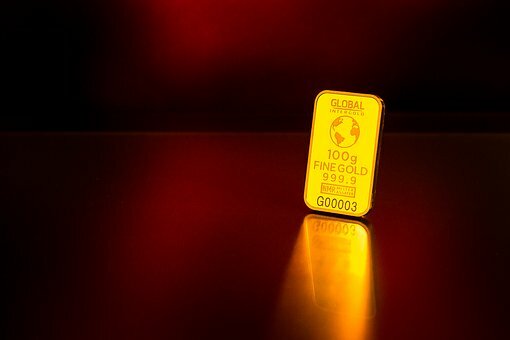 In today’s complex world investing in gold makes sense, particularly as the weak global economy is steeped in uncertainty. Add to that a growing mistrust among nations and gold as an asset class starts looking more and more attractive. A principal instigator of mistrust is the freshly minted U.S. President who is waging a war of words against many of his trading partners. With the investing environment uncertain and the dollar weakening, investors are looking to gold as a safe haven asset to preserve their wealth. Does gold really add value to your portfolio? The Fed has stated that the labor market is improving and the economy is growing at a steady pace. This would seem to imply that the dollar would strengthen and emerging markets would rally. Gold at this point starts to lose its shine but profits can still be made by trading on its inherent volatility. At the base, investors buy gold as a hedge or safe haven asset against any crisis be they economic or social. In those turbulent times gold is being seen as a safe, stable, option compared to risk assets. Though it should be said that when people lack confidence in the financial markets there is more buying of gold which pushes up the prices as it performs better than other classes of securities. Particularly, gold is considered as an effective hedge against inflation. So during times of economic and political uncertainty the demand for gold increases due to the perceived stability it will give to a portfolio. Like every commodity gold has its own ticker symbol, contract value, and margin requirements. The futures contracts for gold are traded at the New York Mercantile Exchange through its commodity division. It is also traded electronically through the Chicago Board of Trade, and India’s Multi Commodity Exchange. Another way for investors to add gold to their portfolio without physically having to take possession is through the popular ETF SPDR Gold Trust (ticker: GLD). The ETF tracks the price of gold bullion. What factors influence Gold Prices? The largest influence on gold prices is US monetary policy that is controlled by the Federal Reserve. When interest rates are low bonds yield nominal returns. In such cases gold becomes an attractive opportunity. Investors however are more likely to forgo purchasing gold when interest rates rise as this would mean a higher guaranteed return with fixed assets. Federal reserve commentary also moves the gold market. The Federal Reserve Open Market Committee (FOMC) meets every 6 weeks to discuss the state of the economy and the future of monetary policy. If the FOMC indicates that interest rates may rise in the future, then this would mean a strengthening of the dollar and lower gold prices. As with any asset, the price of gold is determined by the forces of demand and supply. As it stands worldwide production of gold continues to under perform against worldwide demand. So increased demand with a lower supply and prices rise. According to World Gold Council demand during the first half of 2016 grew by 15% and investment demand surged to 16%, however the gold supply has increased by only 1%. This gap, growing demand and constrained supply has also been a factor pushing gold prices higher. Dollar prices have a major role in influencing gold prices. The price of gold is inversely related to the dollar. If the dollar is strong, presumably because of a strong economy, investors prefer to buy dollars instead of gold. On the flip side, a falling dollar has a tendency to push gold prices higher as other currencies also increase in value. A weaker dollar in 2016 has been pivotal in pushing up gold prices. Speculative trading also play an important role in determining gold prices. Inflation is also another important factor that affects the price of gold as investors use the precious metal as a hedge. Not a bad thing, inflation is a sign of economic growth and expansion. However in the last several years since the financial crisis a lack of inflation has led the Fed to put downward pressure on short-term interest rates. Interest rates are low typically in a low growth economy. When rates are low the demand for gold increases and hence pushes up the price. Financial institutions and governments also buy gold. Official holdings and other investments make up for just over 33% of the gold supply. When they start buying in large quantities it also pushes up gold prices. The demand for gold is by far the largest in China and India. With India holding the title of having the world’s largest consumer demand. 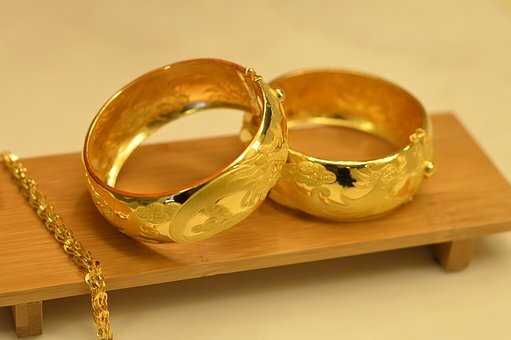 Gold is considered as a symbol of status and wealth and in India the demand for gold jewelry during the festive season is another factor that determines gold prices. Jewelry accounts for just over 50% of the global supply of gold. In India especially during the marriage season and festivals gold prices tend to rise. Industry, technology, and medical uses account for around 10% of the global supply for the precious metal. Another major factor influencing gold prices is the state of the global economy. 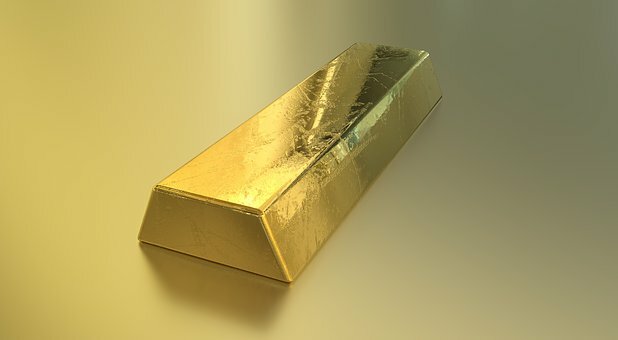 When the economic situation is uncertain, with most investments providing low returns, investors are likely to put their money in gold which in turn pushes up the price. US economic data is another driver of gold prices. 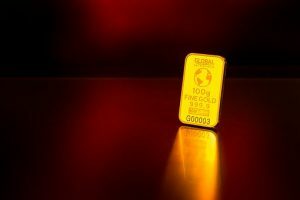 Data such as the jobs report, unemployment and manufacturing data, consumer confidence index and GDP growth have a direct impact on gold prices. Favorable data indicates a stronger economy, which in turn means a stronger dollar and that pushes down gold prices. On the other hand weaker jobs growth, rising unemployment, weakening manufacturing and sub par GDP growth can result in dovish Fed minutes, a weakening dollar and that will push gold prices higher. Investors hate uncertainty and that moves markets. Not knowing how Brexit will turn out for the U.K and the EU economies, the outcome of terrorist incidents, and erratic oil prices are all factors that contribute to global economic uncertainty and push up gold prices. The US presidential election brought its own uncertainty with unclear economic policies. What appears to be clear are the protectionist leaning of the President and his team; considered to be negative for the global economy and positive for gold prices. There is a contrarian view. Some analysts feel Trump will accelerate economic growth by a combination of tax cuts and fiscal measures. This would mean higher interest rates and a stronger dollar and therefore lower gold prices. Gold prices moved marginally higher after Trumps inaugural address. The most important factor that he stressed was that American industry and infrastructure had fallen into decay and that there would be a dramatic shift in trade policies. Analysts say once the President outlines his economic policies aimed at stimulating growth that gold prices may be adversely affected. Demand for the metal in the world’s largest consumer market, India, is down to a 7 year low despite the uncertainty caused by the government’s abrupt and unannounced withdrawn of the countries highest denomination bank notes from circulation. Gold last year 2016 closed higher in the Comex at 8.43 % from its close of $ 1061.11 of 2015. Prices ended on a positive note after 3 year down trend. 2016 was a crucial year and was marked by the major event, the US elections. When opinion polls gave an advantage to Trump as the next US President, gold prices shot up initially. There was huge volatility in gold prices. But once the results were announced gold fell sharply by around $100 per ounce. If we take the technical closing levels of gold in the year 2015 and 2016 it can be seen between $1100 and $1200. India: In the MCX Gold closed higher at 10.08 % from 2015. Prices closed at Rs 27445 after making a high of Rs 32455 on July 2016. A slightly higher close in the MCX was supported by INR weakening. Gold is currently trading at $1181.85. The first month of 2017 saw a sharp rally in gold as it broke the psychological barrier of $ 1200. It hit a high of $ 1220 but was unable to sustain above this. With the Dow Jones trading above the 20,000 mark and all the world markets traded higher has put a downward pressure on gold and has broken all the technical support levels. Next upward movement can be seen only above $1200. Strong resistance seen at $ 1220. On the down side a break below $1170 could push prices lower, even testing $1150 cannot be ruled out. Demand for gold will continue to be strong for the medium term as it continues to be a viable inflationary hedge. Gold for now is unable to break the key resistance level of $1221, a break above which will turn more bullish till next resistance of $1250. Day to day price movements, President Donald Trump’s economic policies, geo-political events and economic data are to be keenly watched. 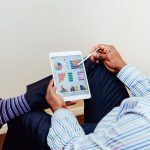 MyAssetClass.com pays you as much as $500 to contribute articles on your best and current experiences with value investing. 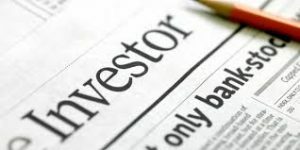 The MyAssetClass.com forum focuses on the broad principles of value investing and publishes compelling and engaging content which will affect your decisions. 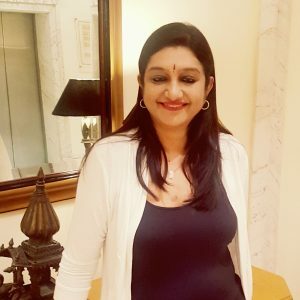 I have been working in and blogging about the international commodity markets for the past 14 years from a technical and fundamental perspective. 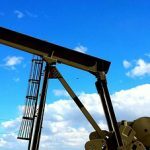 $60 Crude Oil in the Near Future? Investors are taking long positions in the market anticipating a further rise in prices.